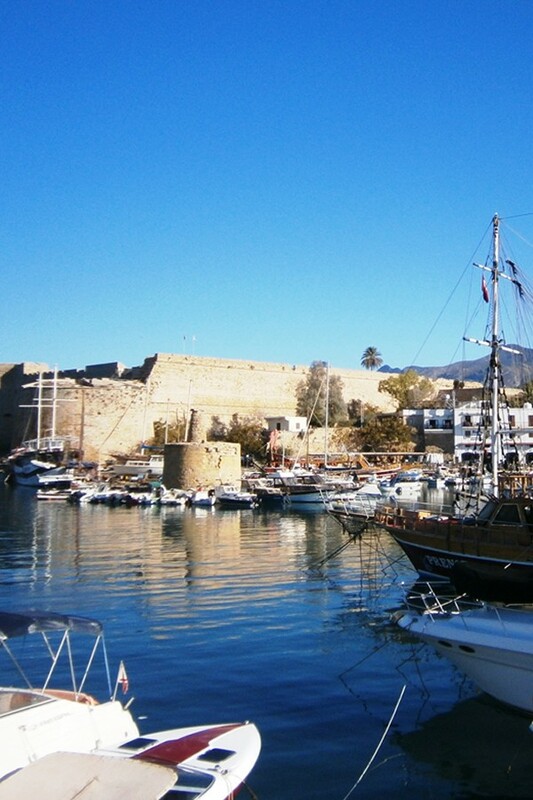 How many properties am I allowed to buy in Northern Cyprus? Under the laws of the Turkish Republic of Northern Cyprus (TRNC) non-TRNC citizens are allowed to hold one property in their name of up to 5 donums or just over 1.5 acres (5 donums of land OR a house on land of up to that size), although multiple properties are easily and frequently purchased by foreigners by setting up a company or trust registered in North Cyprus or finding a trusted nominee to hold title for you. (Husband and wife qualify for one property – although if they have different passport surnames they may be able to have two). Properties can be registered in the name of an individual or a company. Contact our NCI advisors for advice on using trustees or setting up a TRNC company to hold the title to the property for you – this can also have tax benefits. Are North Cyprus properties freehold or leasehold? All properties in North Cyprus hold a freehold title deed. There is no leasehold in the TRNC. Do I need a solicitor in North Cyprus or can I use my lawyer at home? It is not possible to use your existing personal Conveyancing lawyer in the UK or other country of origin to purchase a property in Northern Cyprus. It is very important to appoint your own independent legal advisor in the TRNC as there are various important “on island” legal processes which have to be carried out to establish your ownership and which cannot be done by a lawyer outside of the country – the first is obtaining Permission to Purchase or P2P (see below). Can investors buy without visiting the TRNC? Occasionally investors who frequently purchase property sight unseen (without visiting) can set up power of attorney remotely via an Embassy or a UK-based TRNC lawyer (with a partner in the TRNC). Please contact us if you are unable to visit the TRNC and still wish to purchase. We advise against this process if you are able to set up POA actually during your visit as it is more complicated. Can NCI help me find a lawyer? At NCI we want to ensure that your interests are maximally protected the whole transaction and we can provide a list of recommended and trusted lawyers in North Cyprus who have the best prices, qualifications (often British trained), track record and efficiency. During your inspection visit or viewing day we can arrange a meeting with one of these. During this you should provide your lawyer with full information about the property or properties you have chosen plus all relevant details about any informal agreements you have made with the vendor regarding price, payment schedule and included items. Must I set up Power of Attorney? Unless you speak Turkish and live in North Cyprus full time, you need a lawyer! Setting up a limited power of attorney with a certified legal advisor in the TRNC is a free and very quick process. It is a power of attorney or POA ONLY for the process of buying property and is without risk to yourself. The only proof of identify required is your passport. Many visitors do this during their visit in order to have the option to buy once they return home. It is important as it enables the lawyer to on your behalf to sign documents if you are away from Northern Cyprus for long periods of time. Giving this power of attorney is usually without charge and enables all the important buying processes right from the contract registration, to putting the deeds into your name, to be done without you having to return to Cyprus. Buying a property in North Cyprus should be an enjoyable process and we at NCI want to take the stress out of your decision making. To reserve a property once on the island it is customary to pay a non-refundable deposit of £1,000 – transferable to another property with the same owner or developer. This can be paid to your lawyer or directly to the seller. However, many people like to reserve prior to flying out to view. 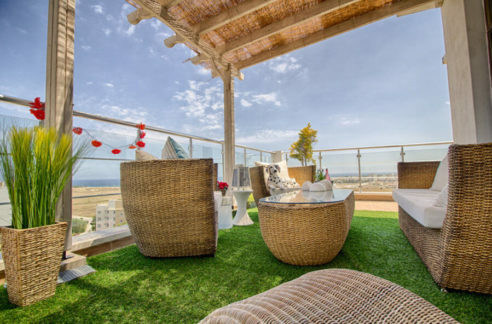 To ensure your total peace of mind, if you wish to reserve prior to your visit, NCI have negotiated a unique 7 day refundable deposit which can be paid prior to your visit to North Cyprus giving you time to fly to see the property. At NCI we pride ourselves on our ethical approach and we would strongly advise against you doing business with anyone who asks for a non-refundable deposit prior to your visit. What must I do before I get my title deed? Before the title deeds to the property can be registered in your name, you will need to obtain what is called Permission to Purchase (often written as P2P in shorthand) from the TRNC Council of Ministers. (It is rare for this to be denied – the only situation is usually if the prospective buyer has a police record in their country of origin. This process is a positive one as it protects other TRNC residents by excluding those with a criminal history). The timescale for obtaining this is currently around 6- 9 months, during which period your ownership is fully protected by the Registration of your contract of sale at the land registry, which must be carried out by your legal representative within 2 weeks of the contract being signed. If a clause is inserted into the contract, it is possible to resell your property before taking title – this is a feature which many investors take advantage of. What taxes must I pay when I buy a property? There are three main taxes which must be paid. The first is a 0.5% stamp duty (current at July 2014) if paid within one month of the contract date. Please note, this is currently a very low rate – so we recommend buying sooner rather than later as this rate may rise. If it is not paid within this time, it increases until it becomes 1.5% if paid after 6 months. You will have the option to pay upfront or pay on transfer of title and pay a higher rate. Once your purchase permission has been granted, your legal advisor will notify you and then fill out all of the necessary land registry valuation forms for the valuation of the property. It is usually at this point that taxes will be payable. The taxes are Transfer of Title Fee (again currently very low at initial 1% option for your first purchase). This is a % of the contract sale price. In addition, if you are buying a brand new property from a developer, you will usually have to pay 5% VAT to the government. For more detailed information on taxes, please ask us for a copy of our guide to the taxes payable on property transactions. What is a Contract of Sale and when is it signed? Your lawyer will prepare a Contract of Sale to safeguard your interests. If your property is a new build, the Contract of Sale will include all important terms such as plot number, plot size, price, payment schedule, completion date with penalty clauses for late completion. 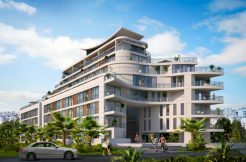 All floor plans and specifications will be attached to the contract to ensure that the vendor is bound to carry out the construction work in accordance with these. The contract will be sent to both the vendor and the purchaser for review. When both parties are happy the contract will be signed. Your lawyer will sign on your behalf only when you are completely happy. How can I obtain Turkish Republic of North Cyprus residency? Contact us for our NCI-recommended list of lawyers who are all qualified to give you advice on residency in North Cyprus. If you are planning to visit your North Cyprus property each time for 90 days or less on each visit and you do not intend to work in the country, you only need the 90 day visitor visa which is given automatically to those of all nationalities upon arrival at Ercan international airport (accessible via Turkey for all nationalities) or at the border to the TRNC if you are crossing from the South of Cyprus (please note that to enter the South of Cyprus you need to be a European, American or Commonwealth Citizen or hold a Schengen visa). However, if you are planning to spend regular periods of time longer than 90 days in the TRNC you must apply for a temporary residency permit. This is extremely easy to obtain for all nationalities upon the deposit of sufficient funds in a local North Cyprus bank account to support you for one year and subject to a health check up and blood tests. Please note that temporary residency does not entitle you to work or open a business and if you wish to obtain a work visa or open a company, you should seek legal advice. I am being asked to pay vat on a resale property where the vat has been already paid by the present owner to developer when he bought the property new. I am told it is necessary to have a vat invoice in my name in order to take title of the property. IS THIS NORMAL AND PROPER PROcEDURE. Thank you in anticipation of your kind response. Thank you for writing to us. We have consulted our legal advisers and it does now seem indeed that standard procedure in the TRNC now is that if the VAT has been paid by the initial owner but the initial owner has not taken title deed into their name, that VAT does have to be paid by the new owner in order for the title deed to be applied for as this still counts as a “professional sale” – the developer still holding the title deed. We are now therefore advising our NCI clients who buy new properties specifically to resell to try where possible to apply for their title deed at the time of paying VAT to avoid the new buyer having to pay again – or to pay neither. Re-sales become “non professional” only when the title is in the first buyers’s name which then removes the obligation on the new buyer to pay VAT. This is one reason why it is always best to purchase via a professional agency such as NCI, as we can offer all of our clients this kind of information prior to purchase and avoid any pitfalls. We are sorry you have had this experience and do hope the rest of your purchase goes smoothly. Thank you for your question via the website. The NCI team are not qualified legal advisors, and we advise you check everything on this website with a lawyer and certainly do not pay any charges without your lawyer’s approval. However, we hope this will help you – we will write to you privately to get your exact situation in order to deal with your specific situation. There are four main costs of buying a property in Northern Cyprus apart from the initial legal fee which we presume you have paid. 1. Firstly the stamp duty of 0.5% of the buying price of your property. This is better paid at the time of signing of contract – we presume from your email you have not yet paid that, if so you will have to pay that. 2. The second Transfer of Title (Kochan) Fee to the government is either 3% or 6% depending upon whether or not you have owned a property before in North Cyprus. If this is your first, you will most likely pay 3%. So if your home cost £100,000 you would owe £3,000 (one off transfer of title fee). The government changes these % from time to time. 3. The third fee is the VAT currently at 5% on a new property or on a property which is still being bought from the developer (professional sale) even if someone else owned it before but did not take title – and this is even if they paid the 5% VAT – you have to pay it again if they did not take title. Again, you do not say if you have paid your VAT or if VAT is due on your property. We do hope you find this help and that it all goes smoothly. Best wishes from NCI Team.